Golden Globe- and Emmy Award-winning comic Ricky Gervais is back on stage at the Apollo Hammersmith in London for his brand-new Netflix special, Ricky Gervais: Humanity. Netflix filmed the special during Gervais’ currently ongoing 2017 Humanity World Tour, which ends in Vancouver in February. 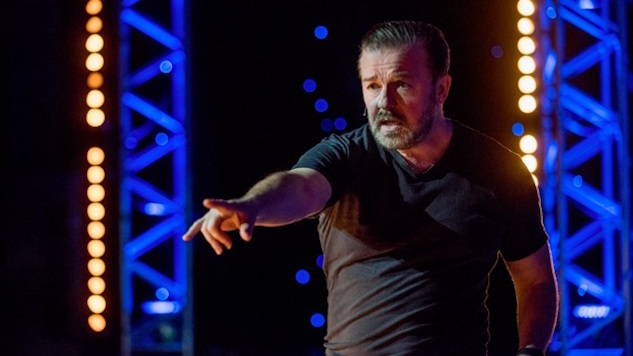 Netflix promises to give us a special that touches on “aging, becoming spoiled, his perspective on having kids and more.” Ricky Gervais: Humanity streams on Netflix on March 13.